How many times did you forget to add a sock or outfit after you started your wash cycle? You would have to cancel the cycle, wait for the water to drain and the latch to release or perhaps you just wait for the next wash (which is why I have so many mismatched socks). 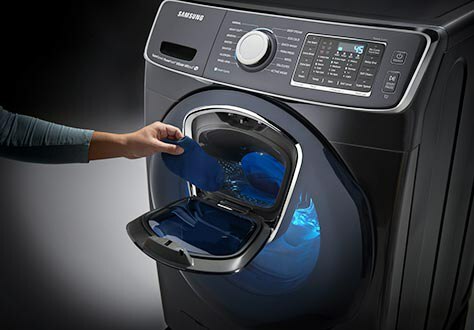 Samsung has a new washer with the “AddWash” door to allow you to add clothing in the middle of the cycle. We will look at this machine and analyze whether you should consider it for your home. First let's look at Samsung. Samsung is a South Korean company known for manufacturing phones, tablets, and televisions. Over the last few years their appliance sector has been growing. In the appliance industry the Samsung brand is known for incorporating technology and design into their products. Samsung is constantly innovating new products like Wi-Fi enabled ranges, refrigerators, and laundry. Let's look at the AddWash washer and the matching dryer. Samsung advertises a full wash cycle can now be completed in 30 minutes. I think the AddWash door is a unique idea. I don’t love the look of it and I am also wondering how well it will hold up over time. Wth Samsung, as well as other manufacturers, you can just pause the washer, open the door, and then resume the cycle. Samsung advertises that their Super Speed cycle can wash a full load of clothes in 30 minutes. There are other brands claiming they can wash a small load of clothes in about 15 minutes. In theory, the ability to wash a full load in 30 is great. I am curious to see how well this cycle cleans in practice when full of clothes. 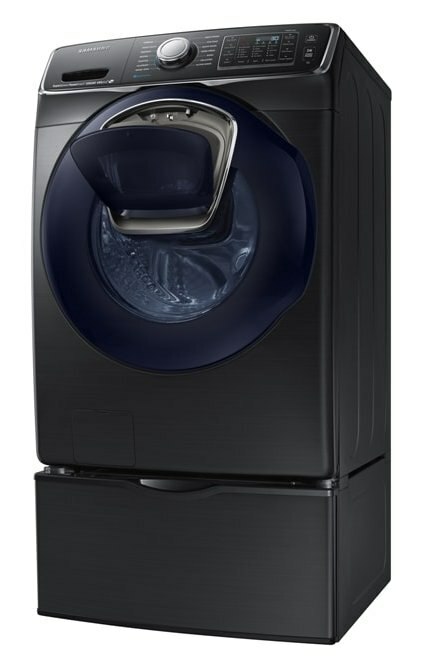 I was also curious to see how Samsung managed to get a 5.0 cubic ft drum in a 27’’ wide washer. It's only 29 deep. The newer Electrolux is 32" deep, yet is only 4.7 cubic foot. I am happy to see another EnergyStar rated dryer on the market, less energy consumption is good for the environment and your wallet. Whether we like it or not, it seems like everything is becoming more technologically connected. It's useful that your dryer can now send you reminders to clean your vent, (which is really important to do regularly). Lint is a major cause for dryer fires. I also like the color options. 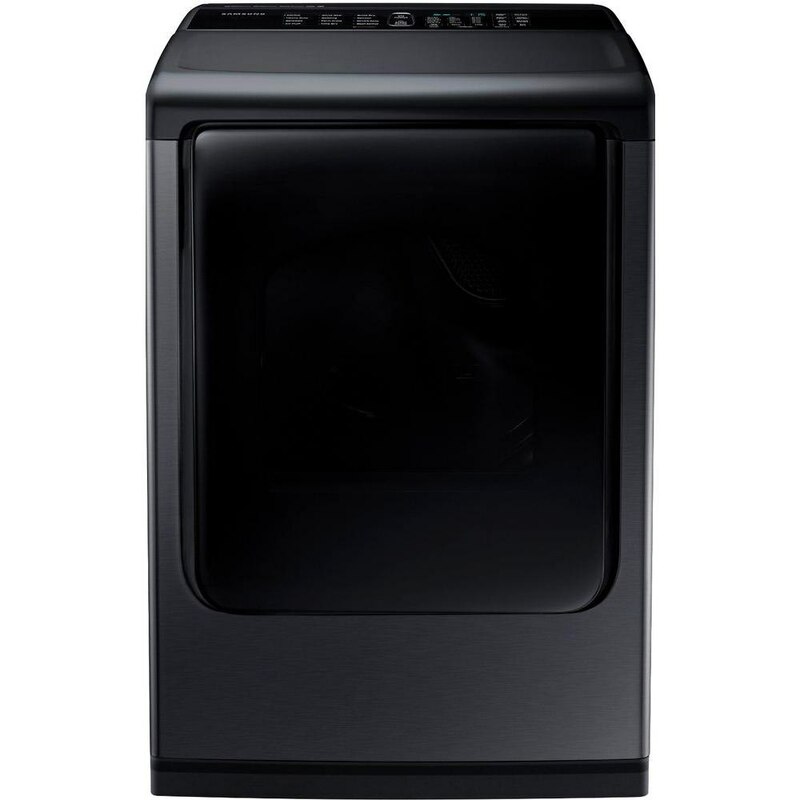 Dark colors have been really popular for washers and dryers across all brands. I think the Black Stainless and azure color options will be a popular choice. I like the technology, colors and vent alerts for your dryer. The speed of 30 minutes is also appealing. 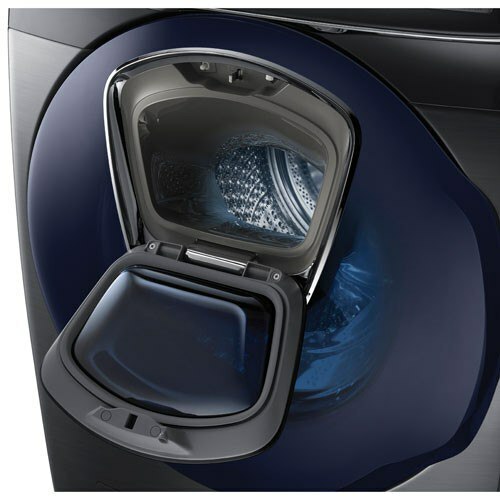 However, you are spending $1,599 for the ability to add an article of clothing to your wash. I am kind of skeptical. There is another good option. Spending $700-$1,000 and waiting the two minutes to cancel your cycle. Have questions on Washers? Get the Yale Washer Buying Guide with complete explanations on hybrid, front load, and top load washers. Well over 155,000 people have read a Yale Guide.